These aren't the best photos, technically speaking. The action was at such a distance that I had to crop the original photos a lot to get the eagle to look big enough to see what's going on. 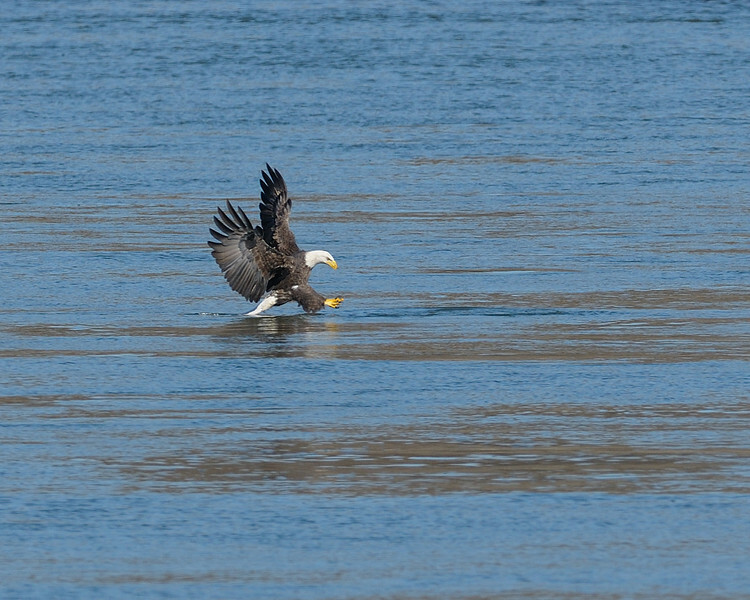 But, it's not every day you see an eagle "go deep" for a fish ... and in this case, TWICE in a row, so I decided to post these for your enjoyment. Coming in for the grab, everything looks good, especially that tasty fish.